After launching collaboration 3.5 / S2 3.5 + S2 program in Bioinformatics, The Chinese University of Hong Kong, Shenzhen reached a new agreement with the University of Michigan to launch another new 3 + 2 S1 / S2 collaboration program in statistics. The Chinese University of Hong Kong, the Shenzhen Campus and the University of Michigan have collaborated to design a five-year study plan for students studying data science, financial statistics, and statistics. Through this program, CUHK (SZ) students will study statistics at the University of Michigan in their final year after three years studying in Shenzhen. During their first semester at UM, they can study the S1 program offered by the Department of Statistics. The credit they get from the program can be transferred to the S1 credit they undergo or pass into their S2 credits. Students who achieve outstanding results can directly go to S2 Master of Statistics at UM without having to submit GRE results. Applications for this joint program will open in the end 2017. Students of the School of Management and Economics who take the Statistics program in 2015 will be the first to benefit from this scheme. Successful applicants will immediately study to MW in the fall of 2018. After completing this program, students will be awarded a Bachelor of Science degree by Chinese University of Hong Kong, Shenzhen Campus and a Master of Science degree by the University of Michigan. Chinese University of Hong Kong is the top university in Asia which is ranked # 46 in the world (QS World Ranking 2018). In 2014, CUHK officially opened its branch campus in Shenzhen after obtaining approval from the Ministry of Education in accordance with China's Overseas Cooperation Rules in the School Field. 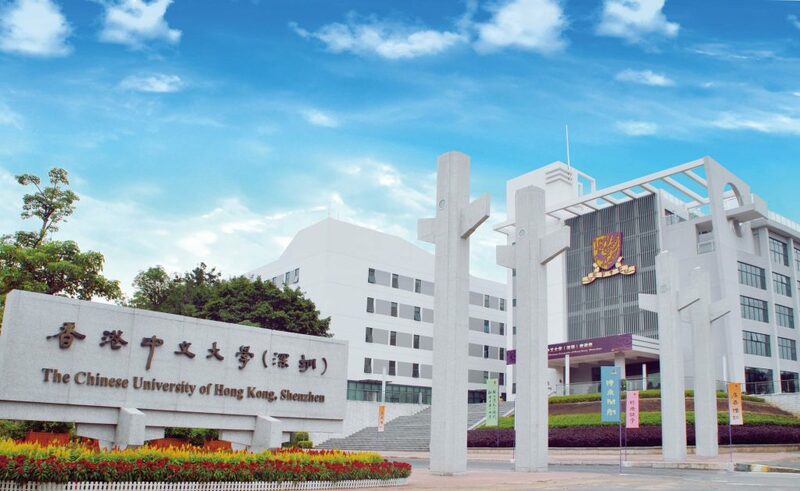 The Chinese University of Hong Kong, Shenzhen Campus inherits the educational philosophy and academic system of the CUHK. The School of Science and Engineering is positioned to advance the strategic disciplines of science and technology, to form a team of top professors, to build a learning environment that combines China with the Western world, and to foster leading professionals equipped with professional knowledge, versatility and perspective international. International is an essential feature for this University. CUHK (SZ) has reached agreement on 50 projects in cooperation with 41 of the world's top universities, jointly teaching undergraduate and graduate students. Currently, more than half of the students studying at CUHK (SZ) have gained experience abroad, ranked first among other state universities. The University of Michigan, which has existed since 1817, is a state university known as one of the Ivy League State schools, a recognized US university association providing an Ivy League-level teaching experience at a public tuition price. Now, UM is ranked # 21 world (QS World Ranking 2018). Its statistics department is recognized as one of the foremost in the United States and its graduate programs attract many talented students from home and abroad each year. Of 111 graduate students over the past 3 years, 22 students have resumed their studies at S3 level, and 79 students have worked in important positions such as data scientists, business intelligence analysts, and software engineers (software engineer). Student CUHK (SZ) will find many opportunities in this field as the demand for professional statistics advanced positions is soaring.